This issue contains stories about Mexico City, its coffee, and the people who drink it. For our sixth issue, we hear from dozens of locals, shop owners, roasters, patrons, entrepreneurs, writers, and photographers about what it’s like to drink coffee in Mexico City. One of the largest and most populous cities in the world, Mexico City is one of the most compelling places to drink coffee right now. This sprawling, frenetic city has easy access to Mexico’s coffee plantations. But only recently has that coffee made it into the capital’s cafes. While specialty cafe owners are embracing this resource, a new generation of coffee-drinkers are reshaping the city’s neighborhoods at a rapid clip. And both are finding a new coffee-drinking identity that continues Mexico’s long history of coffee-growing and drinking traditions. 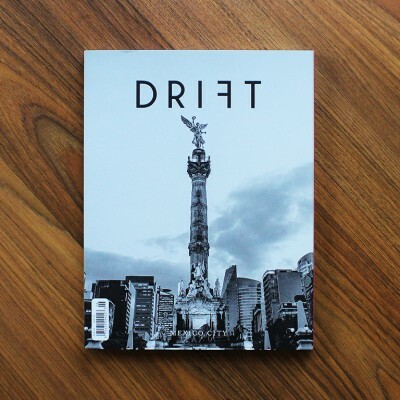 Drift, Mexico City guides us from China to New York, from the Aztecs to the future, as we take a magnifying glass to what makes Mexico City’s coffee scene tick. DETAILS 160 pages, offset-printed and perfect bound, full color on uncoated paper. Carbon neutral printing. No ads.